One of a kind custom built home. 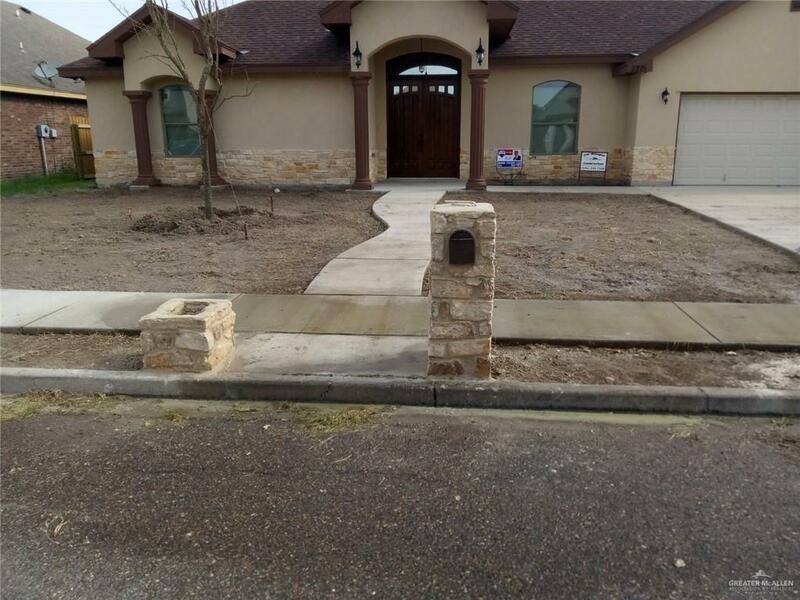 Brand new home in Edinburg featuring 2 Living areas, 4 large Bedrooms and 3 and 1/2 Bathrooms. Granite counter tops, custom wooden cabinetry, open kitchen bar area to living area. Great size Master Bedroom with Large Master Bathroom This Home Was built on 2 lots and has a covered Patio Great for Parties and enough backyard space for a swimming pool. This is a great opportunity to find this many sqft at a great price. Scheadule your appointment today.